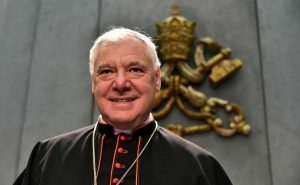 “Cardinal Müller criticizes as a “disastrous error” the changes in Canon Law that have been made in the 1983 Code of Canon Law which, when dealing with priestly offenses against the Sixth Commandment, does not even mention homosexuality as an offense anymore, and which contains a less rigorous set of penalties against any abuser priests. For the whole interview, click here. I am so confused and upset with situation within the church. I believe in God. The church seems to have different rules for priests and the individual catholic person. This last episode of betrayal in the church has tainted our society of Roman Catholics. Do thr right thing. Is the priest life a haven for gay men? You need to stop this disgusting behaviour. I am very sad.